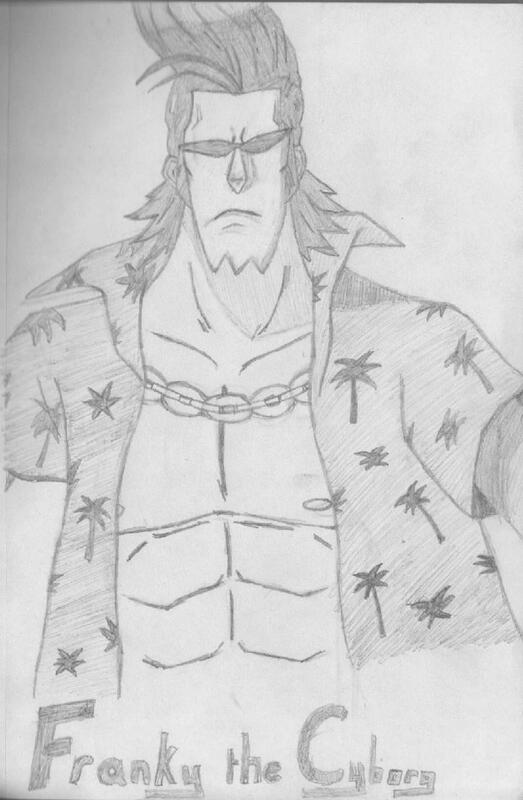 My first attempt at Franky from One Piece, which I finally finished mucking around with in study. I don't think I'll colour it, not until I catch up with all the english homework anyway, hehe. I swear, one of the 6th years I hang around with in study looks kinda like Rob Lucci of CP9!! I gotta try drawing him again, it's so weird! Gah! Franky!!! Get it away! Get it away!!!!! !